UnQLite: An Embeddable NoSQL Database Engine — An old project that has just been ‘revived’ with fresh development. Like SQLite, it reads and writes directly to normal files on disk and is embeddable/’in-process’. LinkedIn's Gobblin: A Framework for 'Gobbling' Big Data with Ease — Interview with LinkedIn’s Abhishek Tiwari about Gobblin, an open source data ingestion framework being incubated at Apache. 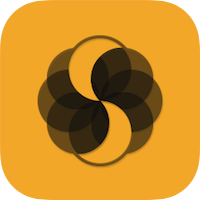 MySQL Client for iPhone & iPad — SQLPro for MySQL, one of the leading macOS database clients has been released for iOS. Features include autocomplete, multiple query execution, editable results and more. Practical Tradeoffs in Google Cloud Spanner, Azure Cosmos DB and YugaByte DB — A deep dive into the consistency-availability tradeoff imposed by CAP which is only applicable during failure conditions. An Update on Redis Streams Development — The next major version of the popular data structure server should include streams as a new primitive type. Is Data Warehousing Dead? — Things aren’t what they used to be if you identify as a data warehouse engineer. We make the same decisions today, but the technology and scale has changed. Migrating MySQL to Postgres with Minimal Downtime — Looking to migrate from MySQL to Postgres and minimize your downtime? pg_chameleon is a tool that can help by replicating from MySQL to Postgres. Breaking Down What 'ACID' Means — Heard the term ACID and not understood? A simple explainer here.